I've done a lot of programs in my work as a Librarian and independently through the Library as Incubator Project. I also work hard to advocate for programming librarianship as a professional focus and to support other programming librarians, and I've served as co-chair of both the Programming Librarians' Interest Group (PLIG) and the Connecticut Library Consortium's Adult Programmers Round Table - Fairfield County. Below is a sample of programs I've developed or collaborated on at a variety of libraries. To see more of my professional development workshops and committee work, head to Presentations & Events. "The Murder and Booze Cabaret"
An original play commissioned for New Canaan Library's community read, One Book New Canaan. The 2015 title was Bill Bryson's One Summer America, 1927, and the Murder and Booze Cabaret brought the historical events and characters to life on the stage in two performances of an original production. Truly a multi-generational program, we have at least 3 generations represented (and teaching and learning together) at every session. 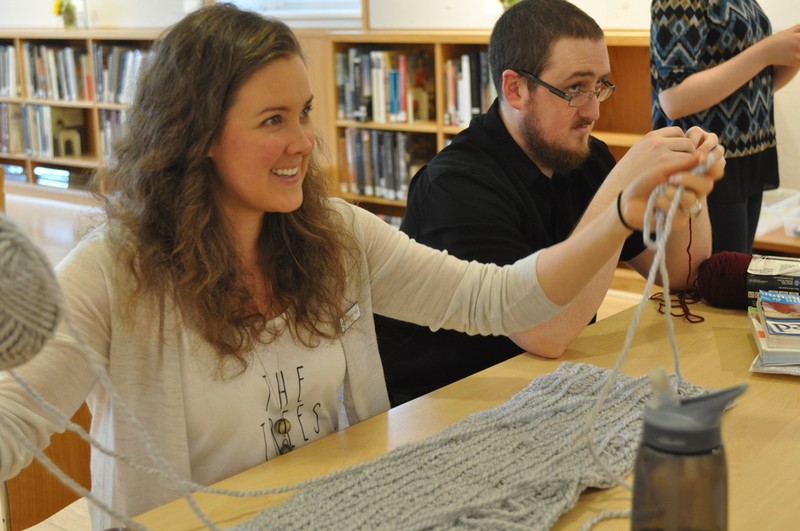 An all-ages knitting and crochet skillshare held in the New Canaan Library gallery every Wednesday. 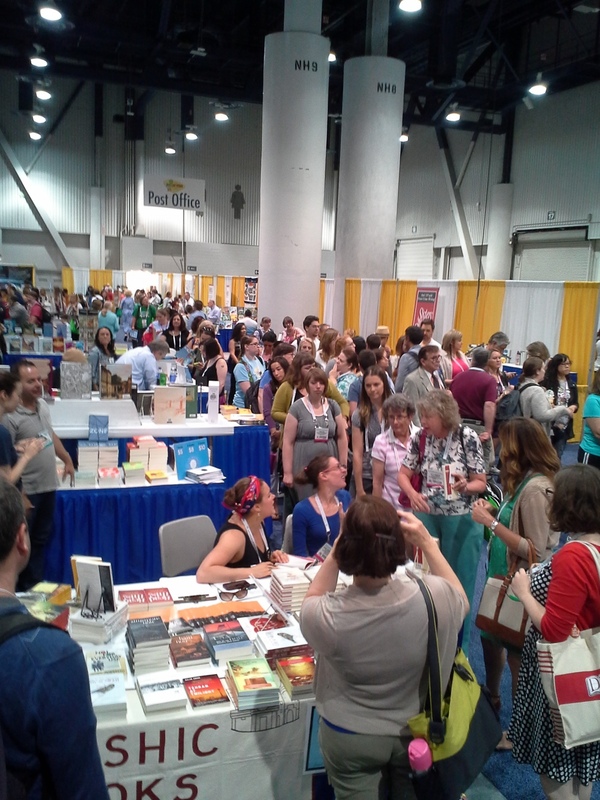 Erinn and Laura sign copies of The Artist's Library for a crazy line of enthusiastic librarians! A watercolor painting inspired by The Art Forger by B.A. Shapiro. Created by Stephanie D-M at the Madison, WI #book2art club chapter. December 2013. 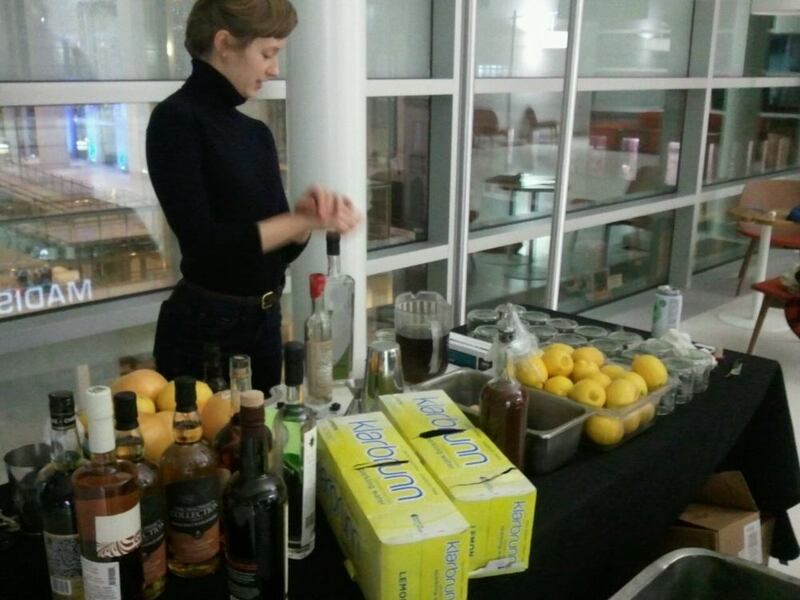 Local partners from Fourquarter restaurant in Madison mix themed drinks for Night Light, including a "Baskerville." January 2014. 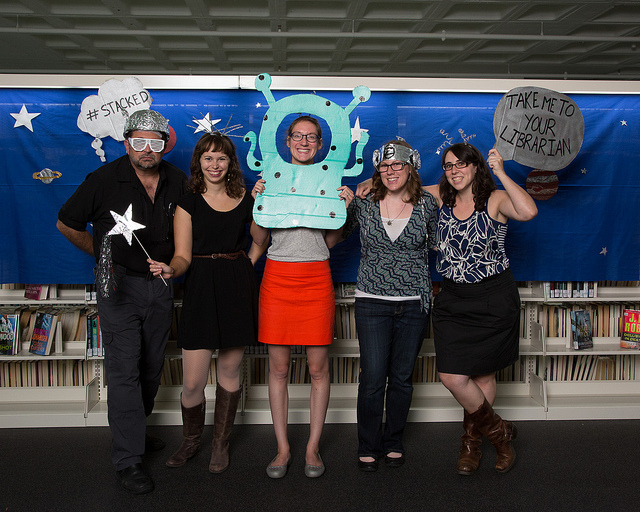 Interactive photobooth at Madison Public Library's BOOKLESS fundraiser. 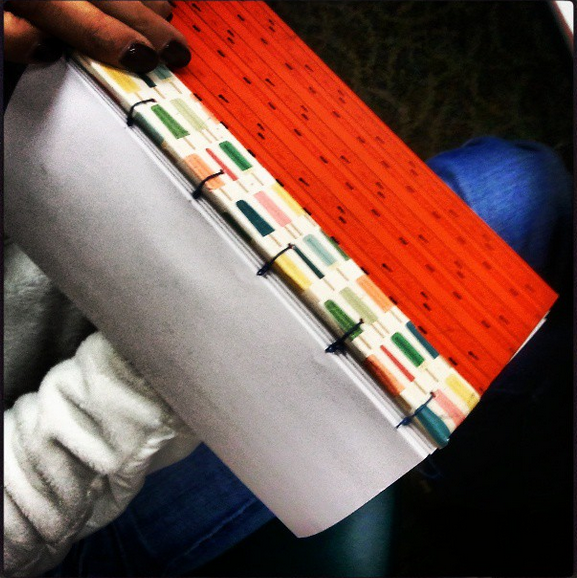 Artist Julie VonDerVellen uses discarded library books to teach students to create coptic stitched journals at Alicia Ashman Library. October 2013. 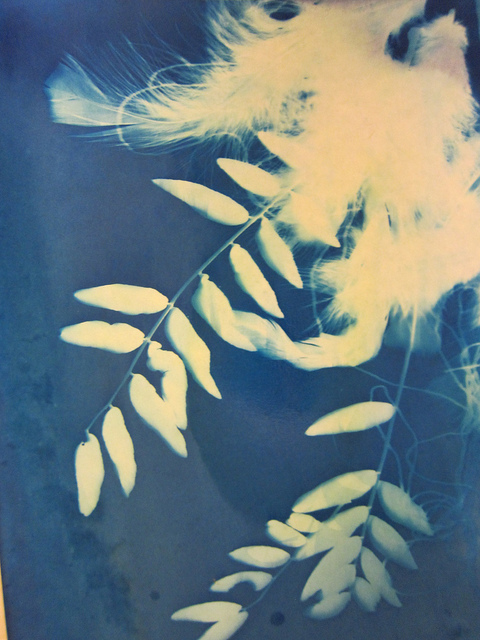 The Bubbler hosted local photographer Aliza Rand, who specializes in cyanotype prints. February 2013. 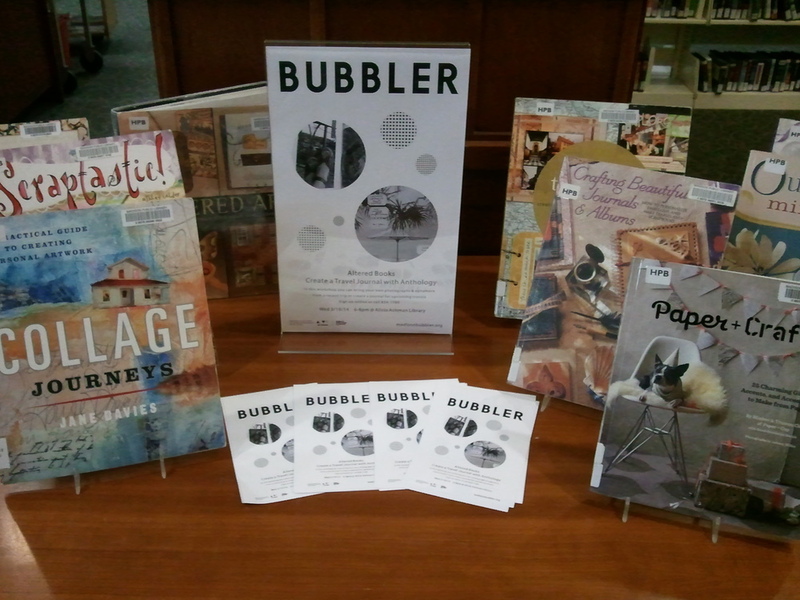 A book display at Alicia Ashman Library showcases the library's extensive collection of papercraft resources to promote a Bubbler program with local partners from Anthology, a handmade boutique. March 2014. 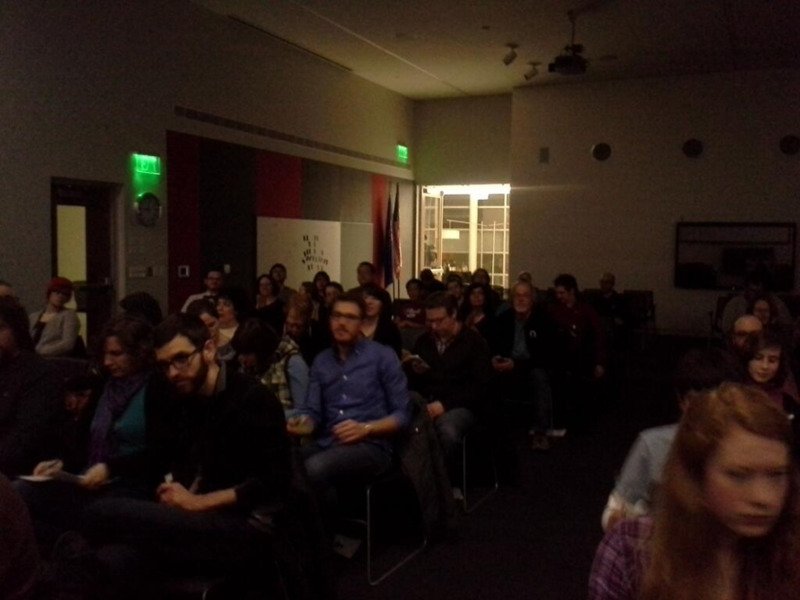 A full house at Night Light, Madison Public Library's after hours programming series. This special screening was part of a partnership with Wisconsin Public Television. January 2014. The Library as Incubator Project provided hands-on activities for participants to engage with the story, including button making, ciphers, and coloring sheets. January 2014. 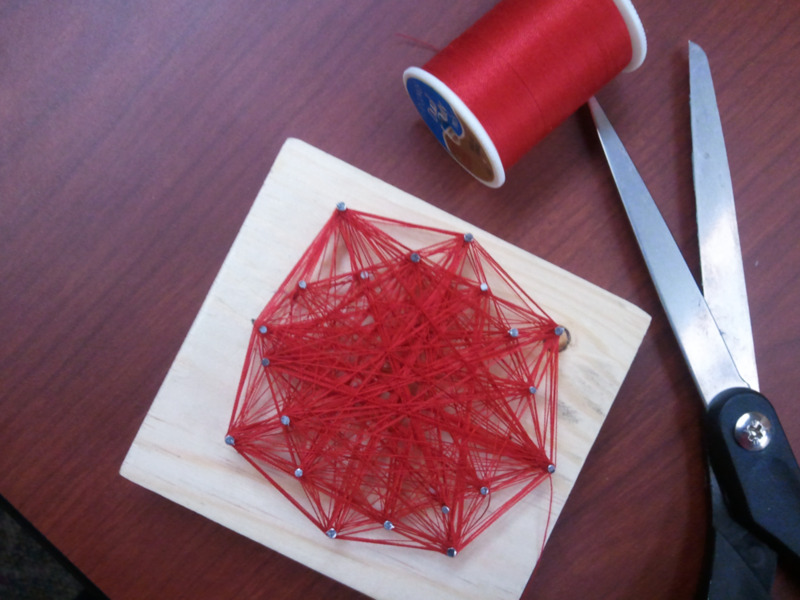 A finished string art piece created by teens during Craft Lab, a monthly DIY workshop. January 2014. 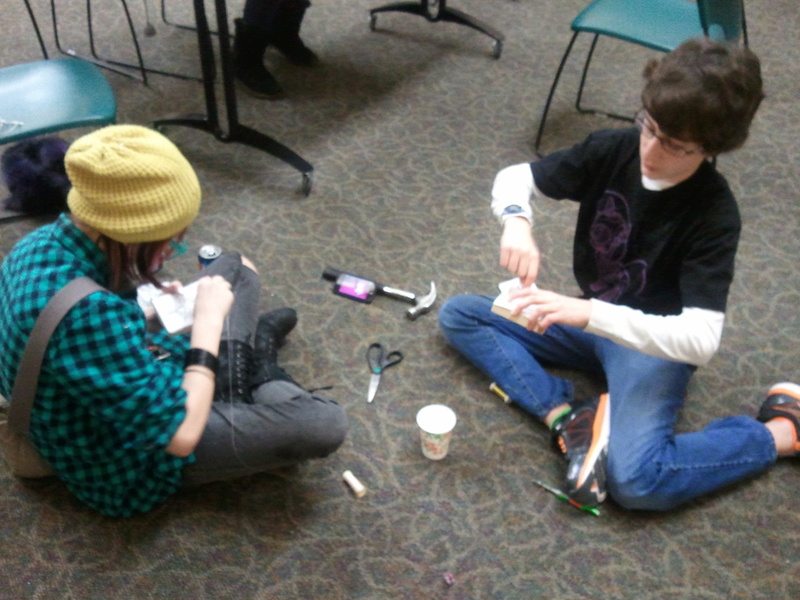 Teens working on designing their string art during Craft Lab, a monthly DIY workshop. January 2014. 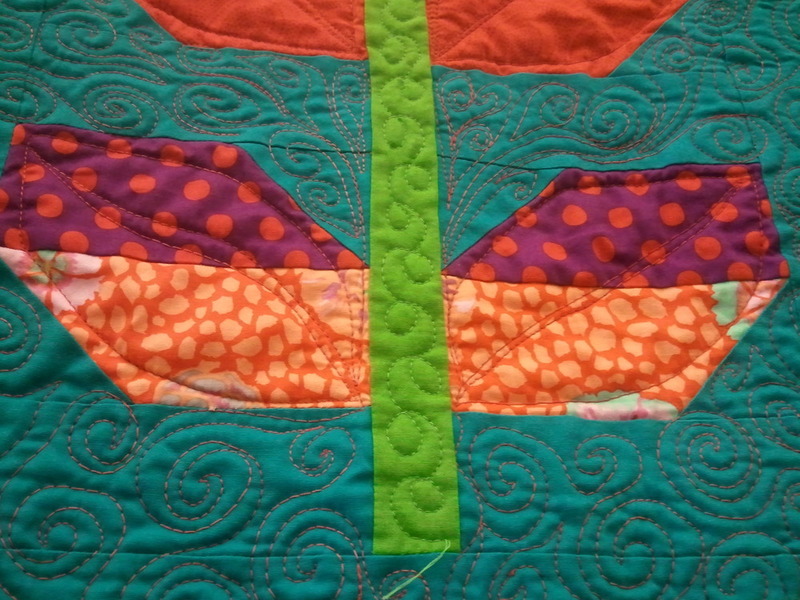 This quilt was part of the Madison Modern Quilt Guild gallery show, July/August 2014. Authors series | One of my favorite parts of programming is creating author programs that connect readers with their favorite writers. It is a LOT of work, but worth it! Highlights from the last year of author programs include: Wes Moore (The Work), Sir Charles Spencer (Killers of the King), and Anthony Doerr (All The Light We Cannot See), Lauren Groff (Fates and Furies), and Marilyn Nelson (A Wreath for Emmett Till). Now What? Writers' Workshop | A monthly workshop co-sponsored with the Fairfield County Writers' Group that focuses on creativity exercises and writing critique. 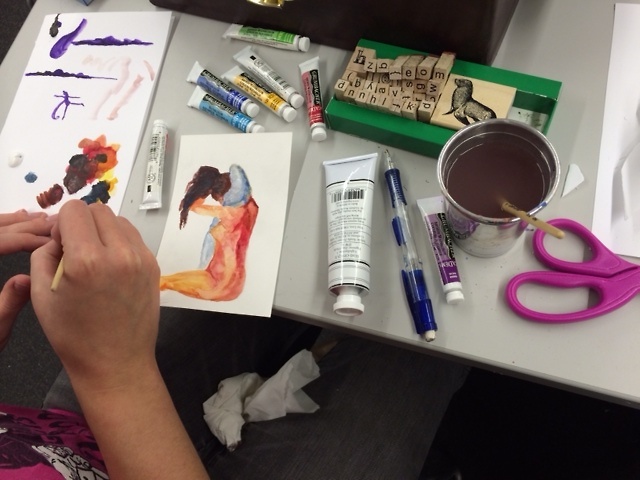 Crafternoon | A monthly project-based workshop at New Canaan Library for adults that draws inspiration from rare library materials and explores their design through hands-on projects. Based on Jessica Pigza's Handmade Crafternoon series at NYPL. Artist in Residence program at New Canaan Library | A bi-yearly installation and exhibition based residency that invites a local maker to share their skills in a series of hands-on explorations. 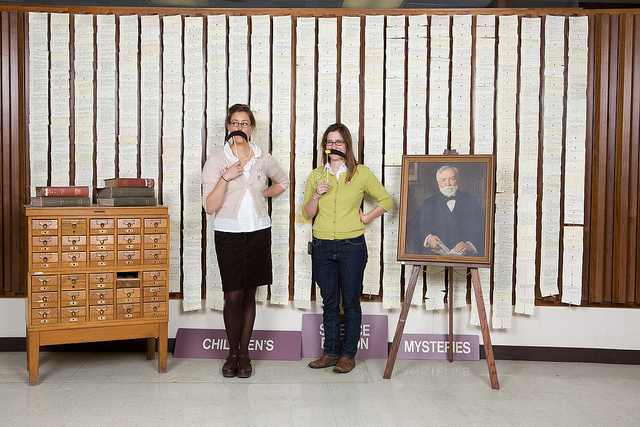 One Book New Canaan | A month-long exploration of a single text as a community project. Stitch It! 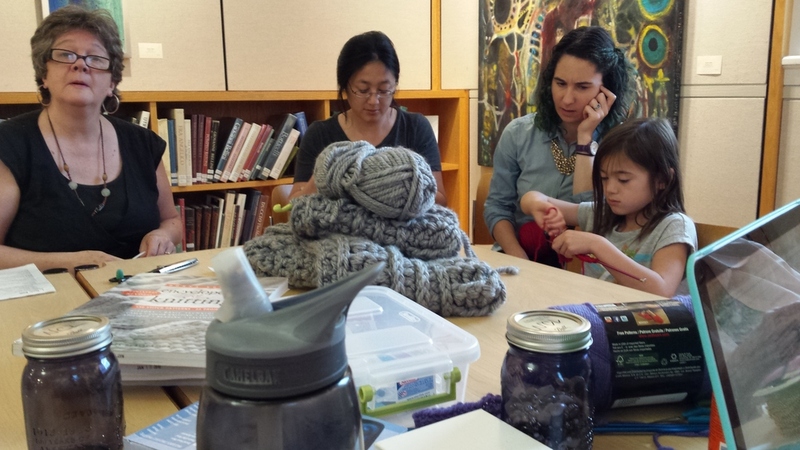 | An all-ages, intergenerational knitting and crochet skillshare held in the New Canaan Library Gallery every Wednesday. 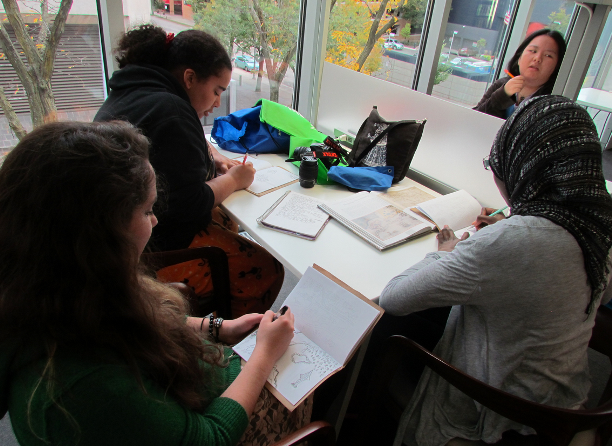 The Book to Art Club at The Bubbler at Madison Public Library | A monthly book discussion that integrates hands-on projects and traditional discussion to explore the themes, images, and ideas in each book. Ongoing. The Bubbler at Madison Public Library NEA Our Town Grant | Advice and collaboration on maker and arts-themed library initiatives as grant partners. Night Light | Hands-on activities to compliment an early screening of SHERLOCK Season 3, Episode 1. 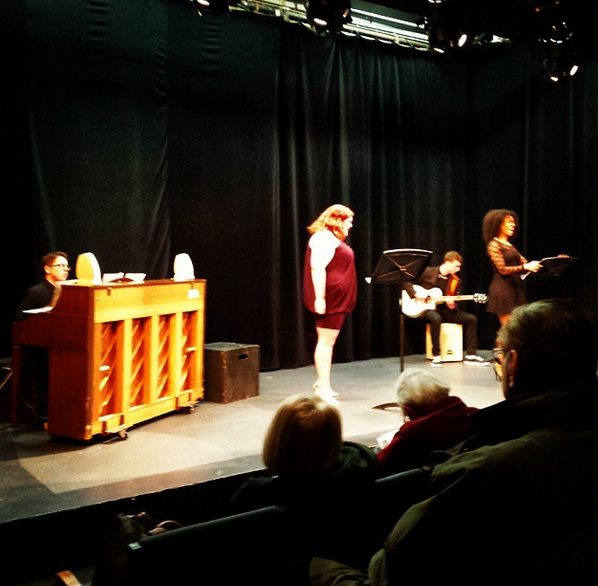 Part of The Bubbler's Night Light programming in partnership with Wisconsin Public Television. January 2014. Click here to download our themed activity pages. Self-Publishing Basics | Presentation and panel discussion focusing on online platforms, and library resources and tools available to authors interested in publishing their own work. Extensive examples that re-frame the library's role as a hub for community created content. December 2013. 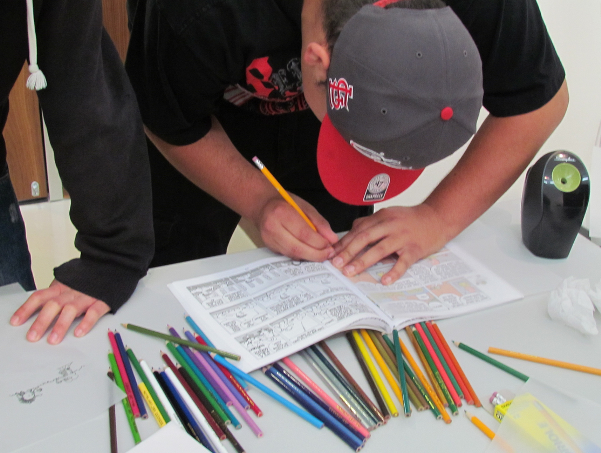 Wisconsin Book Festival | Hands-on pop-up labs featuring book-themed explorations of mapmaking, tracing, and blackout poetry using discarded books. All ages and Highschool Friday events. October 2013. Stacked | Interactive photo booth for opening celebration & fundraising event at Madison Public Library's new Central Library. September 2013. Bookless | Interactive photo booth and artist / exhibit coordination for pre-demolition fundraising event at Madison Public Library's Central Library. January 2012. 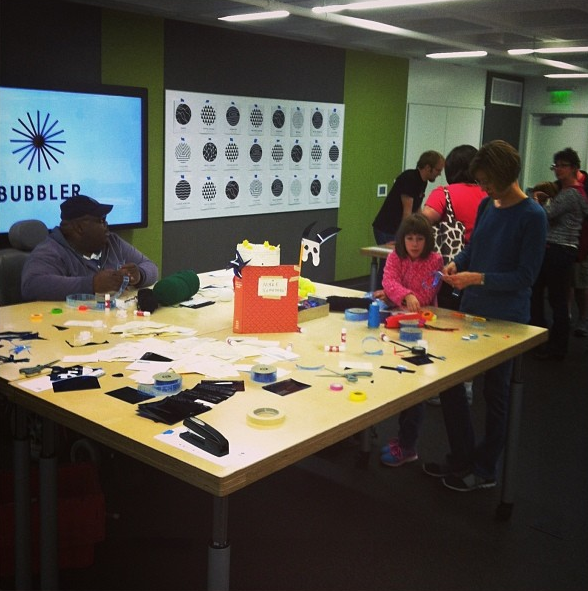 The Bubbler at Madison Public Library | Hands-on maker programs with local artists and experts at Alicia Ashman Branch Library. Part of the Bubbler in the Branches program. Teen & Children's Programming | Program planning, outreach, and assistance for teen and children's workshops including Craft Lab, Wonderworks, Preschool Players, and Toddler Art. Ongoing. Programming substitute during Children's Librarian's maternity leave. Spring 2014. Gallery coordinator | Local artists' installations, shows, and hands-on workshops in a full-library gallery space. Alicia Ashman Branch Library. Ongoing. West Side Stories Book Club | A book discussion aimed at readers in their 20s and 30s looking to explore stories of early adulthood and popular culture. 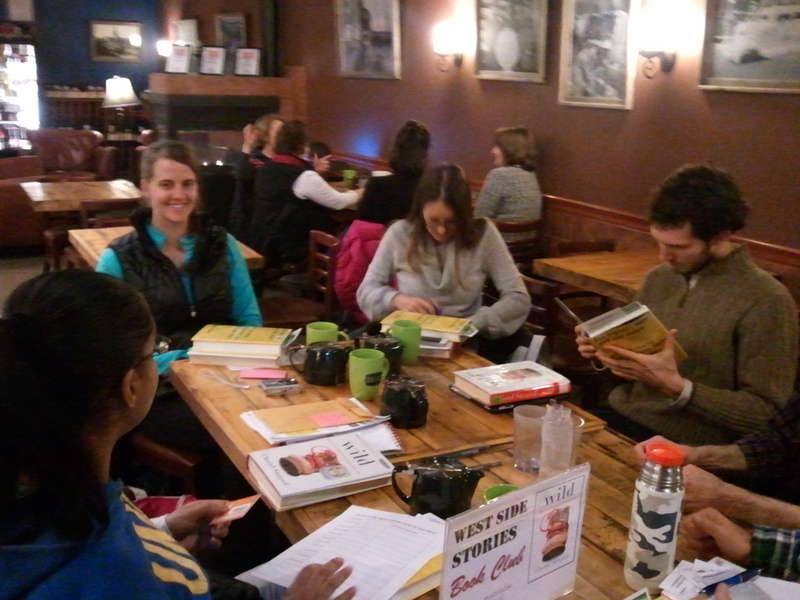 Based at Alicia Ashman Branch Library; meets offsite at Barriques Coffee Traders. Ongoing. Photos of the Wisconsin Bookfest, Stacked, and Bookless activities courtesy of Madison Public Library & The Bubbler. If you're interested in scheduling a conference presentation, webinar, or workshop with the Library as Incubator Project, or if you'd like to be in touch with Erinn about professional opportunities at your library or arts organization, please visit the Contact page.